This content is provided by Hillary H. Holmes. 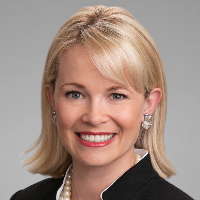 Hillary H. Holmes, Co-Chair of the firm’s Capital Markets practice, focuses on capital markets and securities regulation and governance counseling in the oil & gas industry. Hillary represents public companies, private companies, MLPs, investment banks, management teams and private equity in all forms of capital raising transactions, including IPOs, registered offerings of debt and equity securities, private placements of debt and equity securities, joint ventures, preferred equity investments, spin-offs and de-SPAC. Hillary frequently advises boards of directors, special committees and financial advisors in complex M&A transactions and special situations. Hillary also serves as advisor to public and private companies on securities laws, SEC reporting and governance matters. JD, University of Pennsylvania Law School, 2003; Certificate in Public Policy and Management, Wharton School, 2003; BA, Duke University, 1998.